How touching! I had tears well up when I saw this video of Paulina Awok, from South Sudan, hear for the first time. Paulina's father, Nyathjwok Stephen​, worked for me in the U.S. Embassy in Juba, South Sudan. He and his wife saved their money, worked with his medical insurance program, and we have had a successful Go Fund Me campaign, to make this dream possible. Please enjoy this footage from KCCI TV in Des Moines. We really appreciate KCCI following this story and bring visibility to the Iowa Ear Center's generosity and concern for Paulina. Mercy Hospital in Des Moines has been great, too. The family still needs funds for speech therapy and living expenses while they spend the next six months in Iowa for weekly speech therapy sessions. It's happened -- surgery is over, on September 6, 2018, but six months of speech therapy are ahead!! This is so exciting! Paulina is on her way to having a full life because she will be able to hear and speak, and go to school in her home country, South Sudan, which has no special education program for hearing impaired children. There are no special education programs for any special needs child. Thank you to everyone for your generous donations! We are doing well to help Paulina's parents reach their goal to pay all medical bills and earn funding to pay for all the other expenses, such as local transportation, incidental medical expenses, and family living expenses while they are in the U.S. Rest assured that father Stephen has worked hard to save as much as he can to contribute to his daughter's expenses. You will enjoy this TV coverage about Paulina from KCCI TV in Des Moines. Also, please read this background story, and our updates. Background Story -- When our daughter, Awok "Paulina," was diagnosed with the inability to hear three years ago, we were not sure what to do or where to turn. We did not know if she would ever say, "I love you Mommy and Daddy." We have prayed for a happy, productive life for Paulina, and we want her to go to school and someday graduate from university to pursue a career and a life that she chooses. We live in South Sudan, in Africa -- the newest country in the world, and the most under-developed country in the world. Currently, our country is torn apart by internal strife and ethnic cleansing. There is only basic medical care in our country, and there are no speech therapists to teach Paulina sign language, and no special education classes in South Sudanese schools for hearing impaired children. The only future for my daughter is to hear with cochlear implants. Paulina has been evaluated at Mercy Hospital in Des Moines, Iowa. Thankfully, we learned that she will be able to hear with cochlear implants. Now we are saving our money, and raising money, to make our dream come true. We have already raised, and saved, a significant amount of money. My wife and I have deposited this money in an account at Mercy Hospital in Des Moines, Iowa -- to achieve our goal of having surgery for Paulina before she turns four years old. A. $20,000, for the remaining cost of surgery, the cochlear devices, a CT scan, and an MRI. We have already made a significant deposit at Mercy Hospital in Des Moines. We want to pay for all expenses before we schedule surgery. Help us, please. B. $1,000 for anesthesiologist services. C. $4,300 for six months of speech therapy after surgery so Paulina can learn to learn to hear and talk. D. $2,000 for miscellaneous expenses while in the U.S. for 7 months. 1. I am employed by the U.S. Government in Juba, South Sudan, and have been for ten years. 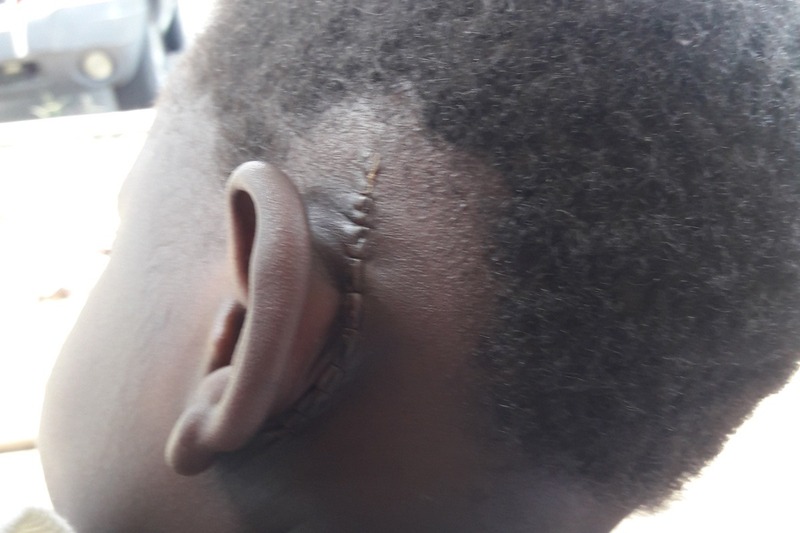 I earn a good income for South Sudan, but it is not nearly enough to save for cochlear implant surgery in the U.S. for my daughter. I support my wife, who works at home full time raising our three young daughters, my mother, and my wife’s mother. 2. My employer’s medical insurance pays $15,000 per family member per year. 3. I have already contributed over $5,000 of our personal savings for expenses, but we need your help. 4. Mercy Hospital in Des Moines, the Iowa Ear Center in Des Moines, and the anesthesiologist have all offered deep discounts or offered donated services to make our dream of hearing for Paulina possible. Cochlear Implant surgery normally costs $100,000, and the surgeon fees and anesthesiology fees are thousands of dollars, and these generous healthcare providers either committed to donating, or reducing, their standard fees. A retired Foreign Service Officer in Ames, Iowa will provide accommodation and transportation during the seven months we will be in the U.S. for Paulina's surgery and speech therapy. Despite this generous offer to stay in their home, we will need additional funds for incidental expenses while in the U.S.
We are raising money to pay for medical expenses not covered by my medical insurance, including six months of speech therapy. In addition, we will have to purchase round trip airline tickets from South Sudan to Des Moines, from my pocket. We will have to pay for visa fees, too. We fully intend to return to South Sudan following Paulina's surgery, speech therapy and recovery. Our home is in Juba, South Sudan. Thank you for helping us to give Paulina a future. Thank you for your generous donation!! Please make our dream for our daughter to hear a reality! Please give today. Please share this page on your Facebook page and Tweet the link to this page. Thank you! I am so excited!! Paulina has had surgery for cochlear implants! Here's a wonderful news story that aired on KCCI TV Des Moines recently. Many, many thanks to Dr. Matthew Carfrae, MD and the Iowa Ear Center for doing the surgery pro bono and for making this miracle a reality. This medical practice worked so hard to help Paulina. 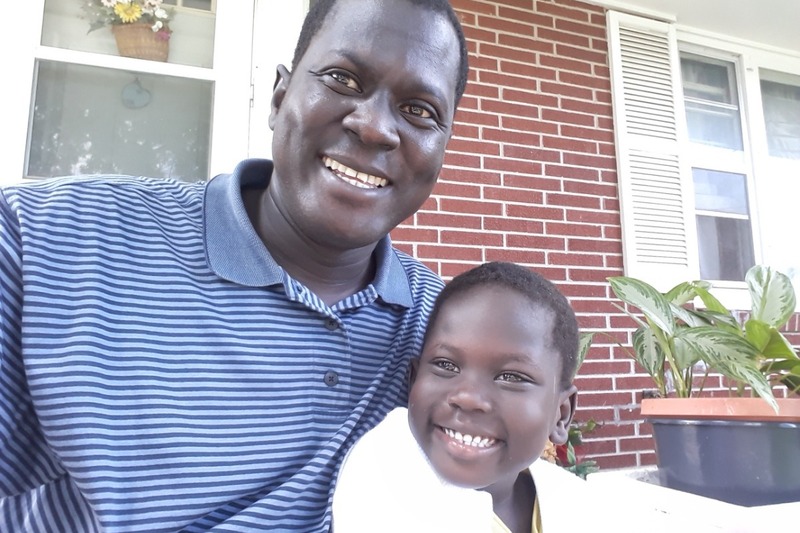 I am so proud of Nyathjwok Stephen, my former employee in the U.S. Embassy in South Sudan, for his persistence raising money to make surgery possible for his daughter. Many thanks to Mercy Hospital in Des Moines for working with us to have the surgery there. Paulina will have a future in South Sudan now that she will be able to hear and speak. She can go to school now. Paulina will learn to hear and talk over the next six months of speech therapy in Des Moines before returning home. There are no speech therapists in South Sudan. The family has many more expenses over the next six months, so if you would like to make a small donation, please visit our Go Fund Me page and search for "Cocofingo." Thank you very much! It's happening!! Paulina Awok will have surgery next week for cochlear implants! Thank you for your generosity and patience. At long last, our little girl will be able to hear and speak. She'll need at least six months of speech therapy to learn to hear and speak, so this family still has large financial needs before they return to their home country. Many thanks for the generosity of contributors, the Iowa Ear Center in Des Moines, and Mercy Hospital in Des Moines. Never lose hope, never give up! That's our motto as we redouble our efforts to raise money for Paulina's cochlear implant surgery and speech therapy. Our goal is for Paulina to have cochlear implant surgery in the spring of 2018, before she turns 5 years old. We need to raise another $14,000 and we could sure use your help to make this dream come through. Remember, you are giving a little girl a future by giving her the ability to hear. South Sudan just isn't geared to help people with disabilities like hearing impairment. Paulina needs all the help that cochlear implants can give her. We need your help so Paulina can hear. Thank you for your generous donation! I have nothing but prayers to offer to you my best friend and college mate. My the almighty God guide you and our lovely daugher throughout the treatment. It is all our dreams that we see her speaking and hearing our words. I lover so much and will not wait longer to see her hearing and calling me by my name. God bless her bro. All the best to your entire family! May a new world open up to you after the surgery!